For more than 35 years, James Newman, P.C. has had one goal — your recovery. We know that when other drivers fail to pay attention to the road, you may be hurt as a result of their negligence. 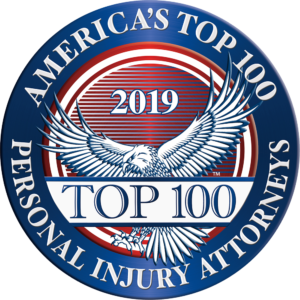 Accidents involving motor vehicles — whether cars, trucks or motorcycles — are among the most common causes of injury and death in the United States. If you or someone you love has been injured in an auto accident, our car accident lawyers help you seek compensation from the parties who caused the accident. Driver error or carelessness. The most common cause of automobile and motorcycle accidents is a mistake by an inexperienced or reckless driver. Failure to maintain and service vehicles. Accidents that result from a breakdown or failure of a part on a car, bus or truck may occur because the owner or operator failed to maintain and service the vehicle properly. In addition to holding drivers accountable for their actions or negligence, our personal injury attorneys work with victims to pursue compensation from manufacturers of defective vehicles and government departments responsible for road defects. Under New York’s no-fault car accident rules, most injury victims file a claim with their own insurance company to cover their medical expenses after an accident. These claims must be filed within 30 days. In cases where your injury results in severe or permanent damage, you may be able to bring a lawsuit against another driver. These cases must be brought within three years of the accident. When dealing with another driver’s insurance company in settlement talks or in court, your own fault may become an issue. New York law reduces the damages amount you can recover proportionally to your responsibility, or fault, for the accident. This means that if you were 10 percent at fault for a crash, your damage award would be reduced by 10 percent in court. Our attorneys seek to maximize your recovery by proving that another party was at fault. First, get yourself and any other passengers to safety. You should immediately call the police and, if possible, exchange insurance and contact information with the other driver. You should also seek medical attention, even if you don’t notice any obvious injuries. Then, if it is safe to do so, document the scene by taking photos if possible. What you should not do, no matter how minor the accident may seem, is speak with an insurance adjuster or accept an offer of compromise before consulting an attorney. Calling an attorney as soon as possible is important for preserving evidence and building your case. At our personal injury law firm, we understand that the last thing you want to deal with after an accident is a complicated and confusing lawsuit. At James Newman, P.C., our goal is to fight for your rightful compensation so that you can heal and move on. We strive to reach a settlement before trial, but we are prepared to go to court to fight for just compensation when we need to. To schedule a free initial consultation, call 718-823-3122 or contact us online. We are easily reached by car or public transportation.